The use of chemotherapy has provided new opportunities for exploring the combination of local and systemic modalities in the treatment of both early and advanced stages of endometrial carcinoma. 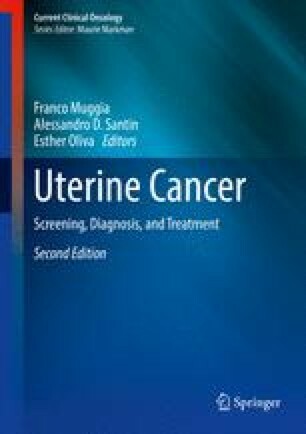 The following circumstances are discussed: (1) radiation therapy for locally recurrent endometrial cancer; (2) surgery for stage IV and recurrent endometrial cancer; and (3) advanced stage endometrial cancer consolidating with postoperative and post-chemotherapy radiation therapy. Integration of hormones is also discussed.